I love stories of financial needs being met, to the dollar and in the nick of time. The lives of Christian adventurers—like foreign and home missionaries—are full of accounts of specific sums of money prayed for and supplied, not a moment too soon or too late, often through unsolicited donations received as cheques in the mail or found in an envelope at the door. Not only is the recipient blessed through these events. The giver us most surely blessed too when they discover that the money amount they felt impressed to tuck into an envelope was the exact sum that the person needed and for which she was praying. Paul is referring to this cycle of generosity when he prays blessing and multiplication on the sower's seed. That physical multiplication can morph to "… increase the fruits if your righteousness" as they bless others with this increase. This results in thanksgiving. Paul expresses it as "thanksgiving through us to God," that is, through the person receiving the gift. But I would suggest it also becomes thanksgiving to God through the giver, as they realize they are part of this divine "rain cycle" of blessing. 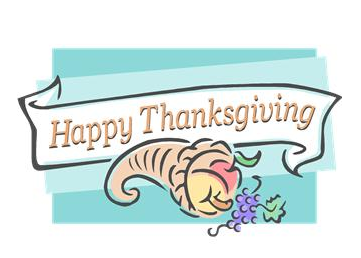 On this Canadian Thanksgiving Monday, whether we are recipients or givers of generosity, let's give thanks! PRAYER: Dear God, thank You for connecting us to others' needs and them to ours, by Your Holy Spirit. Help us to bring our needs to You and open ourselves—our homes and wallets—in generosity when we are moved by the needs of others. Amen.